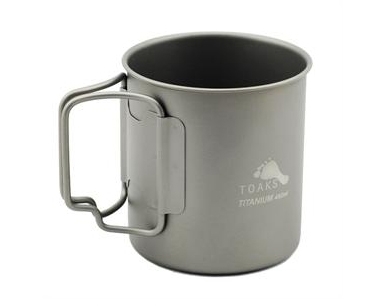 This lightweight, titanium cup is 450ml and weighs only 2.7oz and fits into almost any cook pot. Perfect for the hiker who needs their coffee on trail! It comes with a mesh storage sack and can nest in 650ml, 750, 800, or 850ml sized pots.